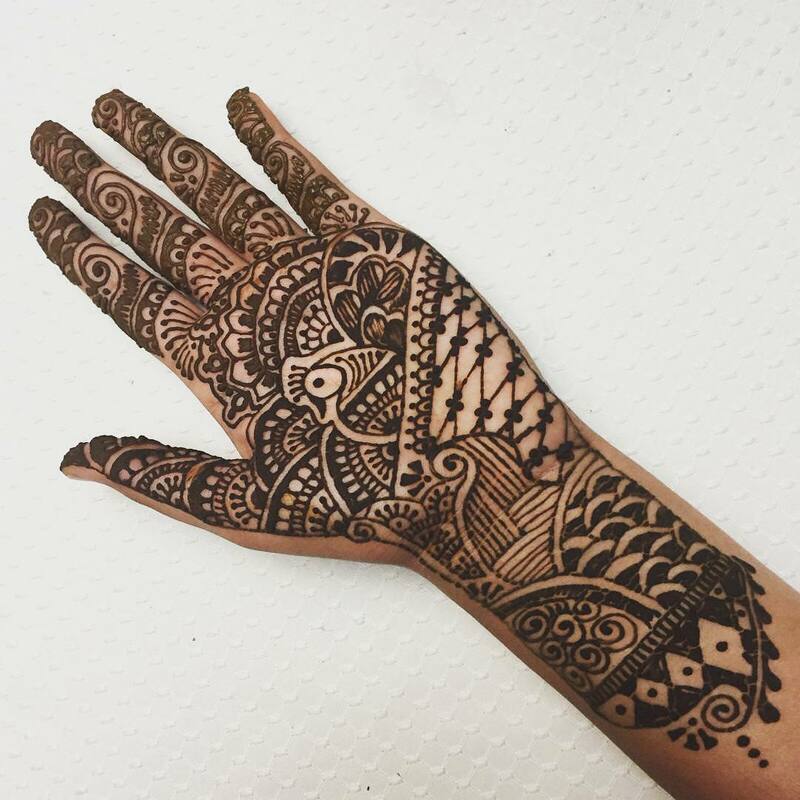 Mehandi is a popular trend in the regions of subcontinent for a very long time and seen during weddings or any other popular event. 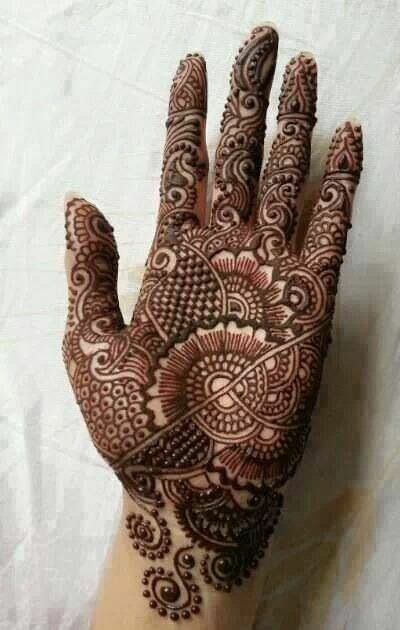 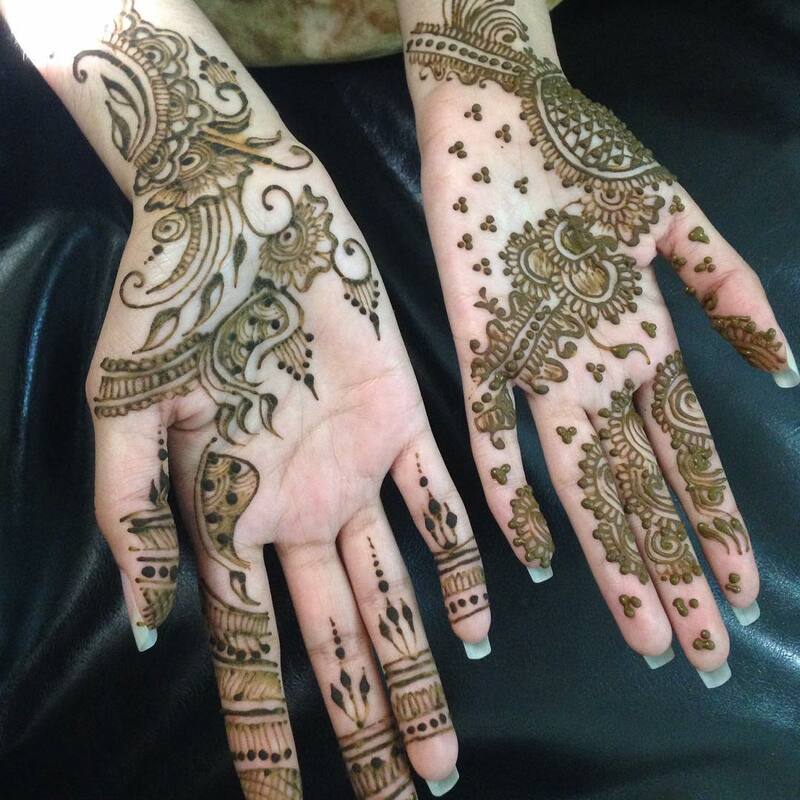 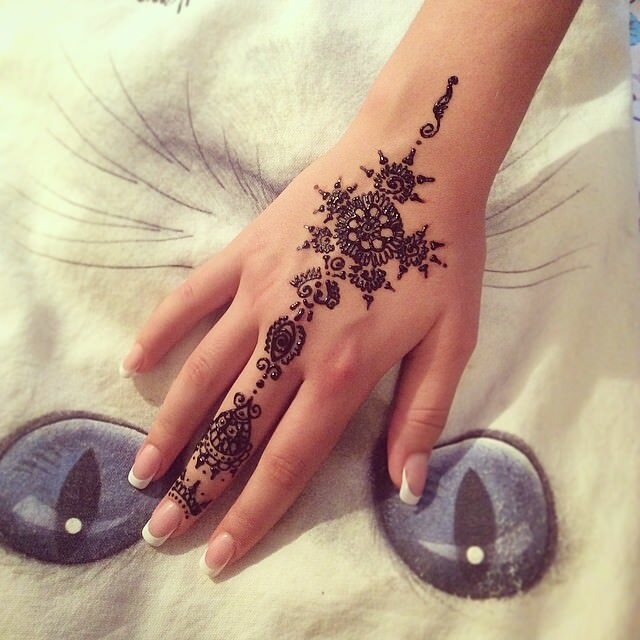 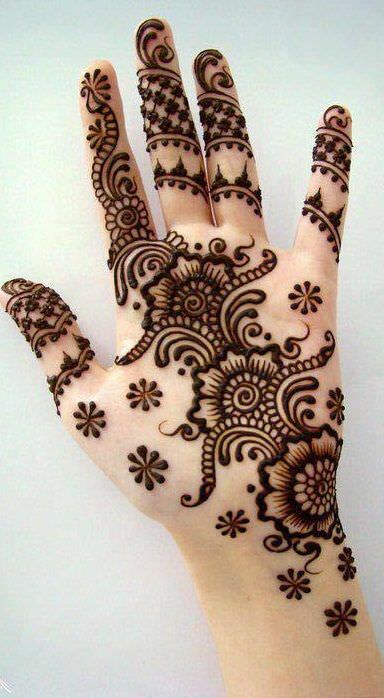 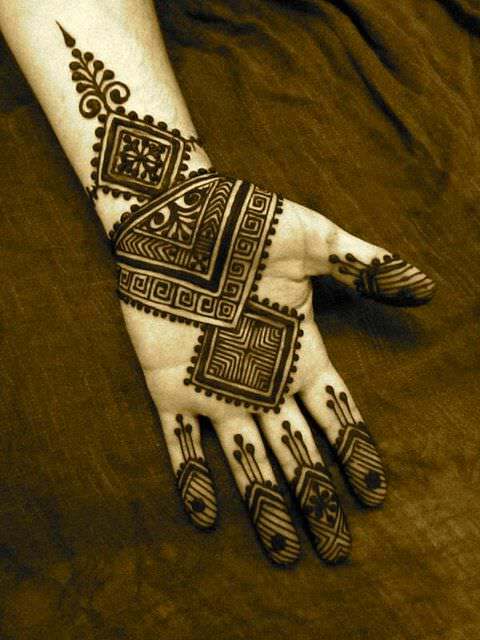 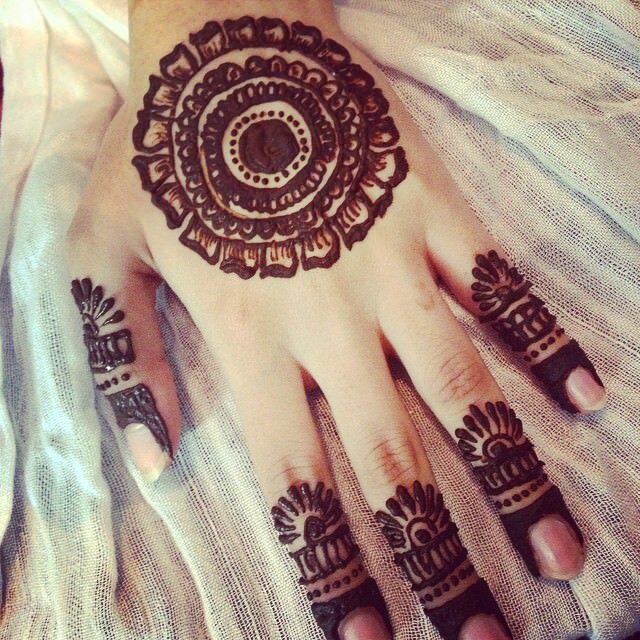 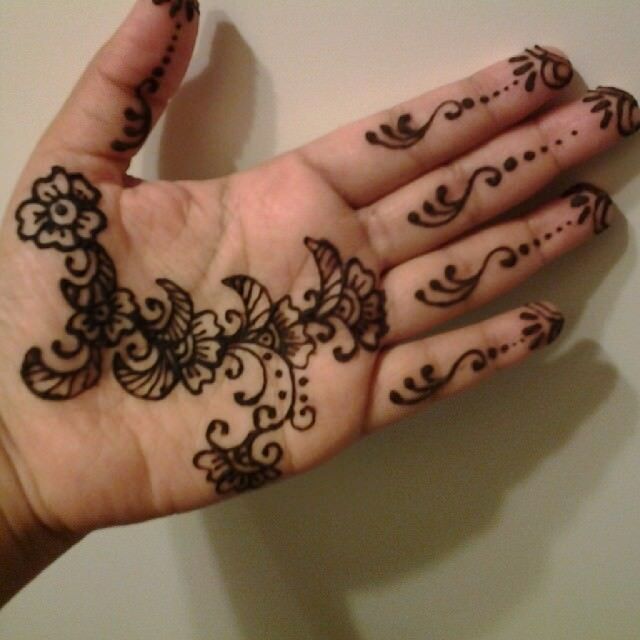 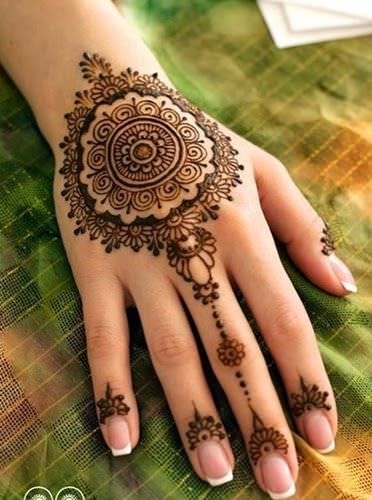 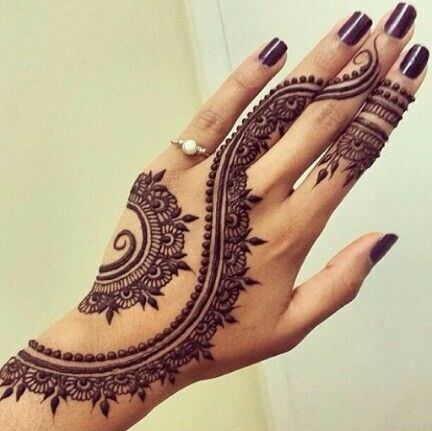 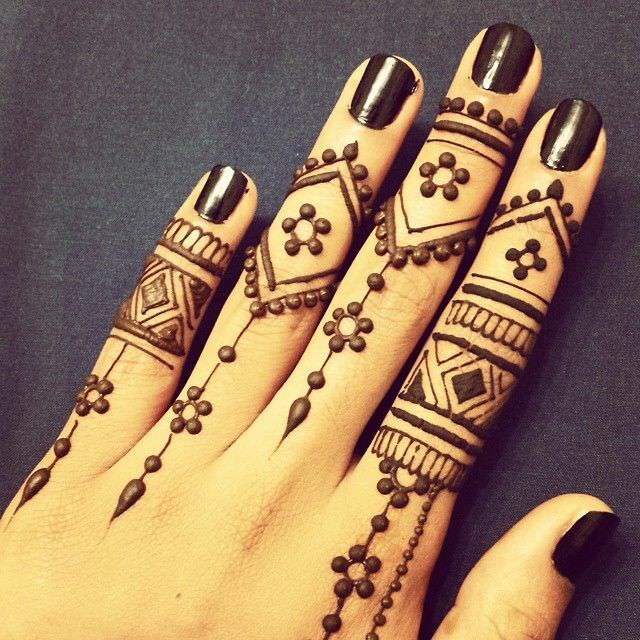 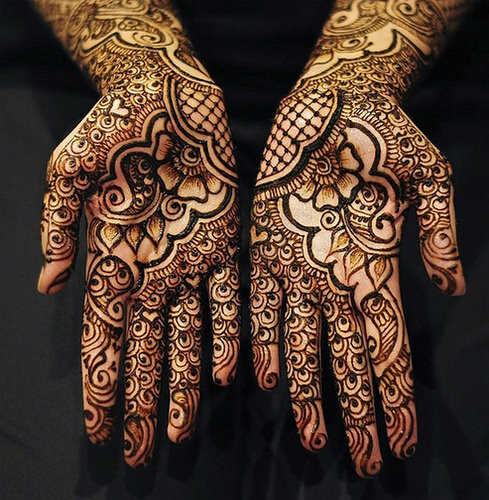 Traditional Mehandi designs represent the sun on the palm, which usually includes flowers, leaves, or a circular motif. 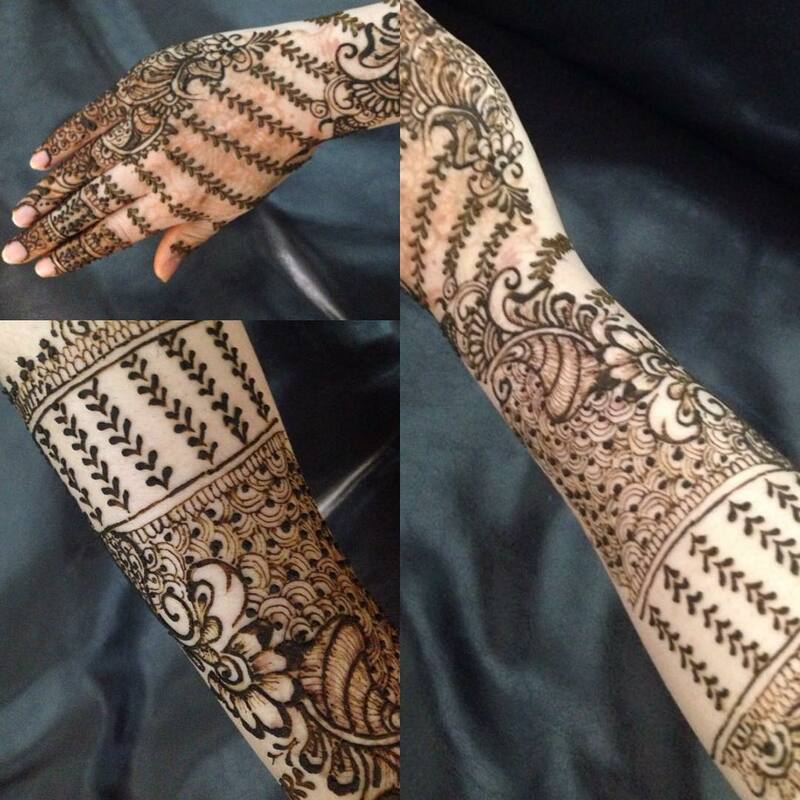 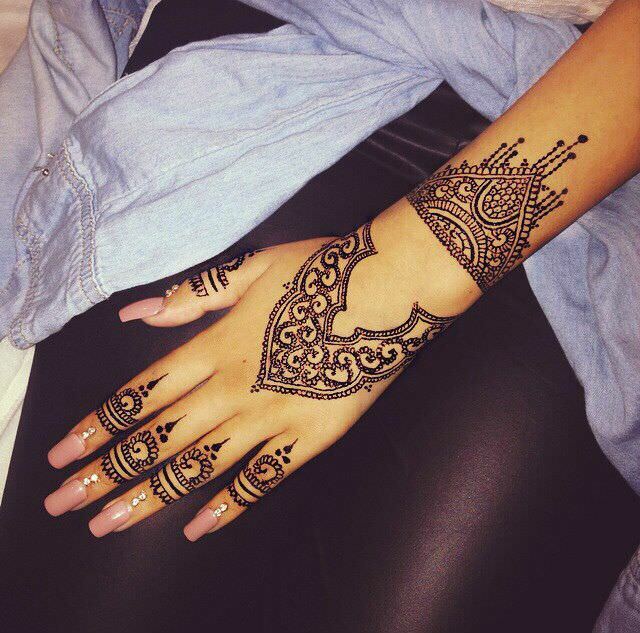 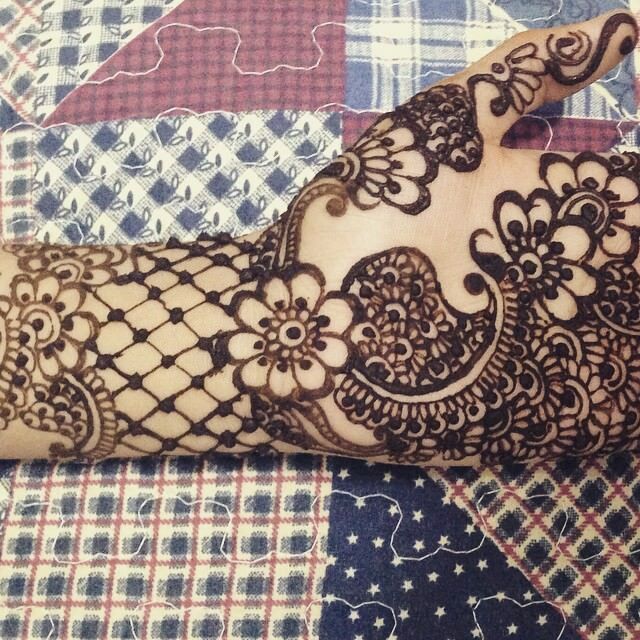 Applying Mehandi is now becoming a trend where no occasion is required. 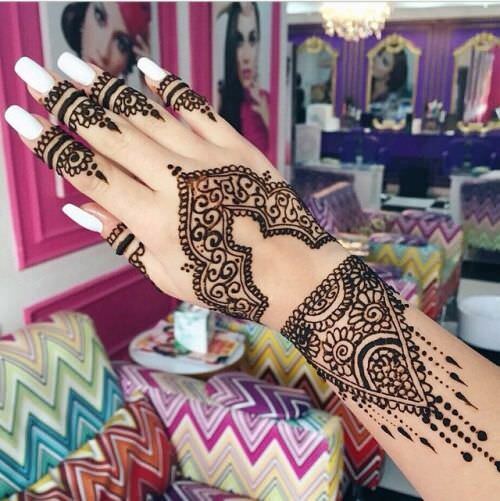 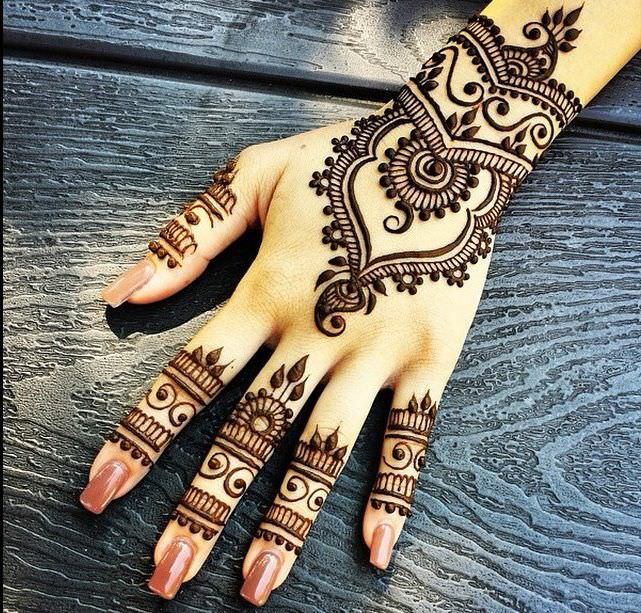 The gorgeous mehndi designs are becoming extremely popular as one of the most important elements to beautify a woman’s hands and feet. 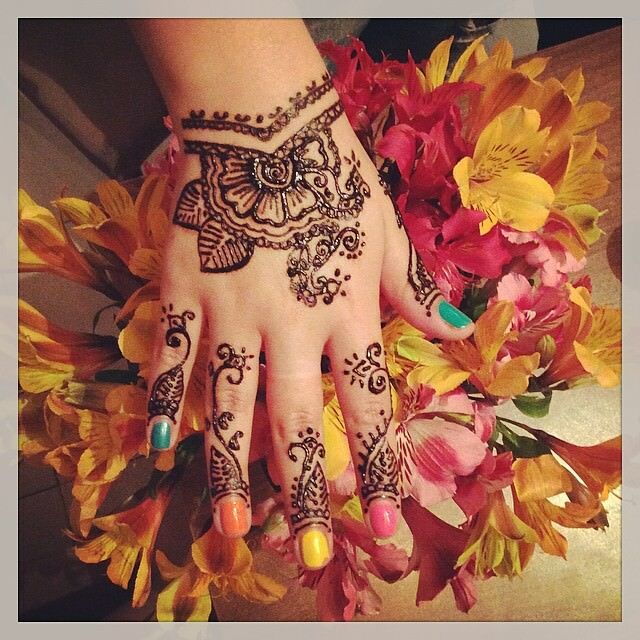 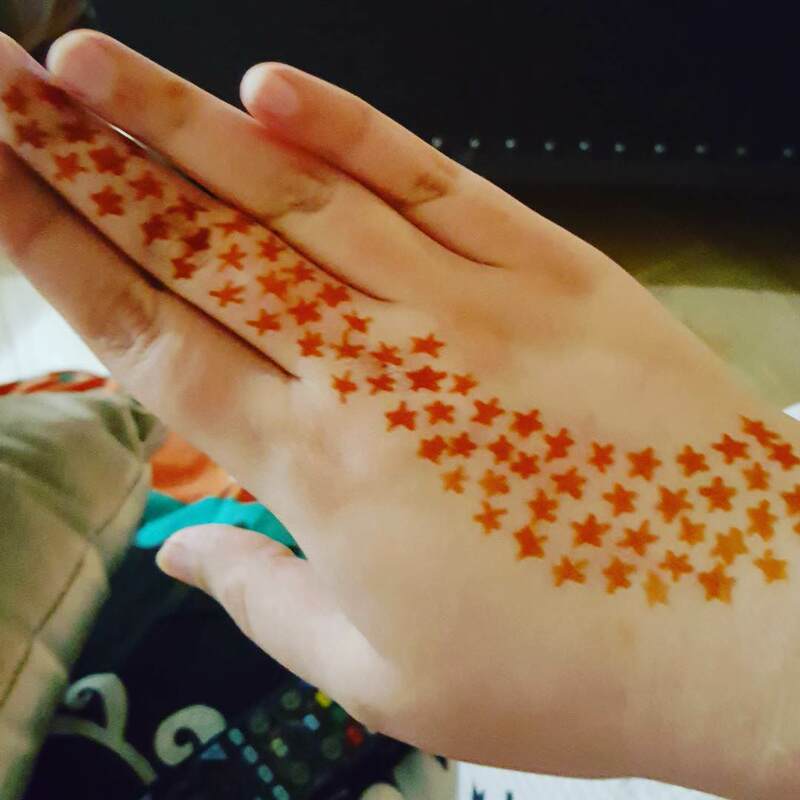 Simple flower Mehandi designs are suitable for kids as it is easy to create with many simple flowers. 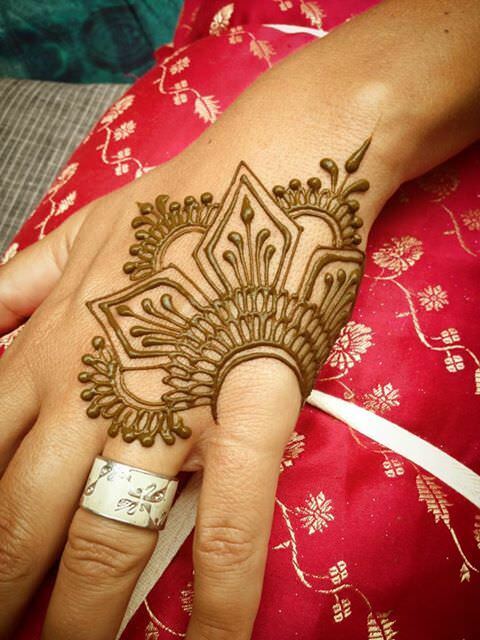 Long arm length designs can use flower motifs, with leaves and dots to complete the design. 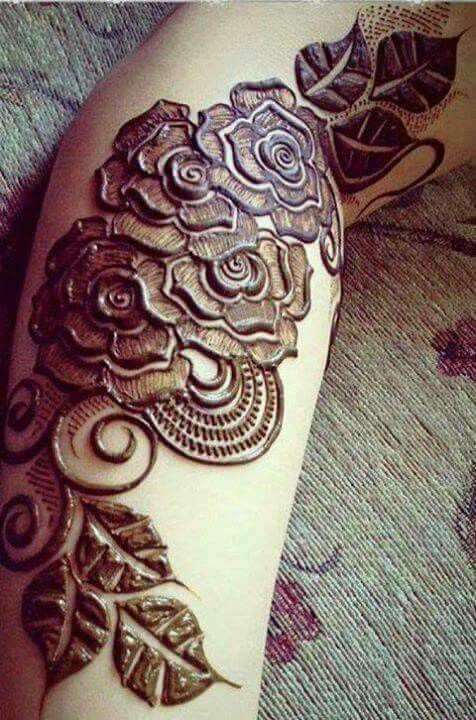 For a more dramatic look, you can shade the flowers and leafs for more effects. 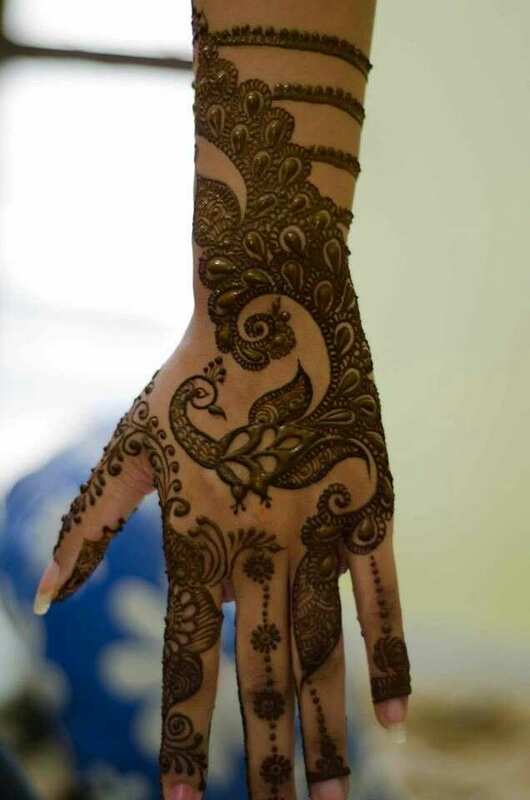 For those not fond of flowers, a few criss-cross line designs along the palms is also a favorite trend. 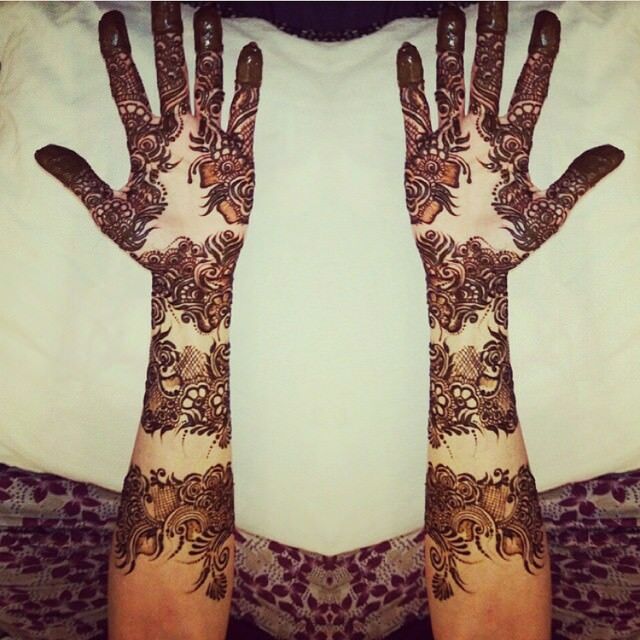 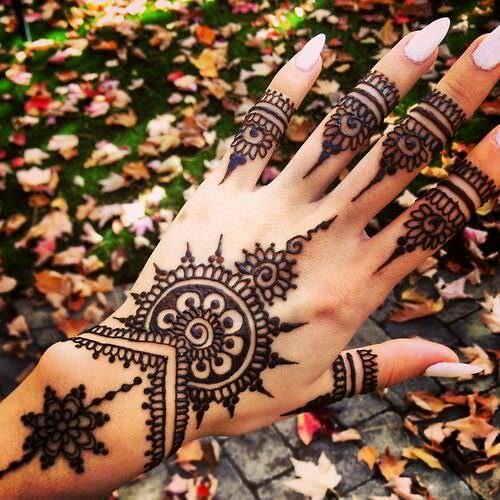 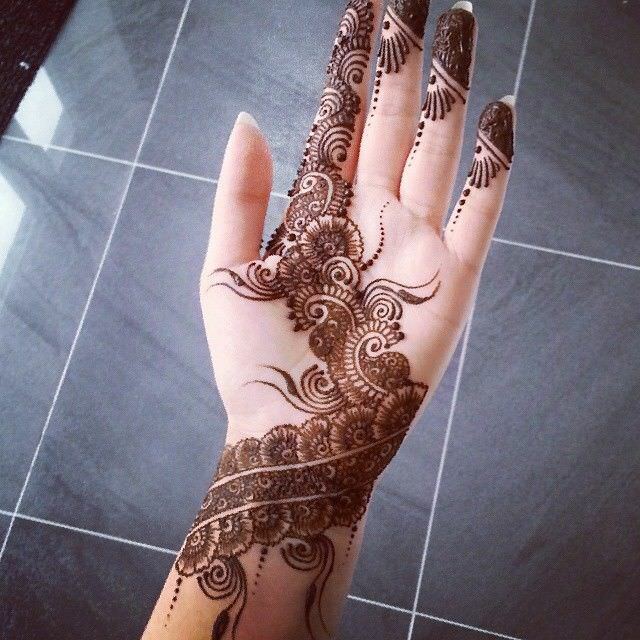 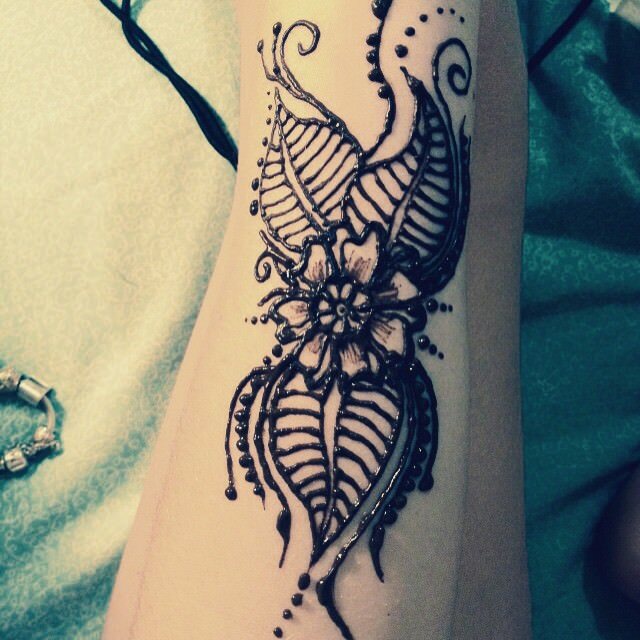 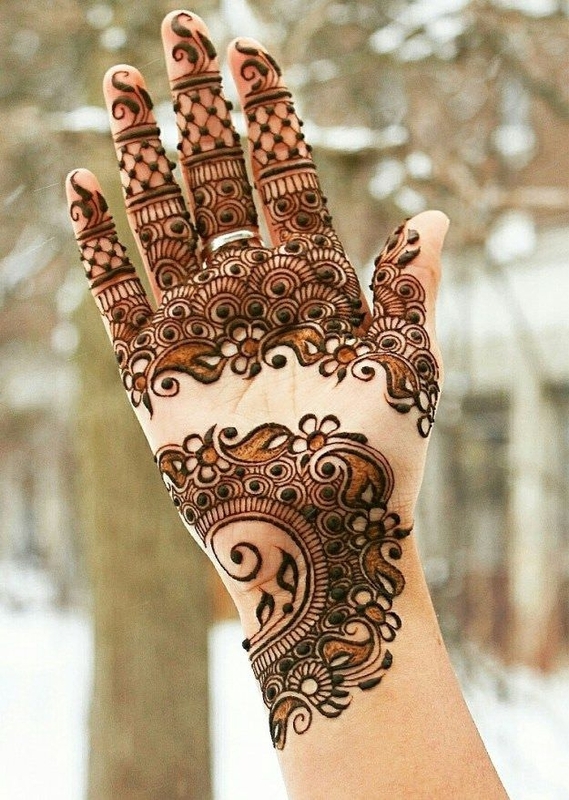 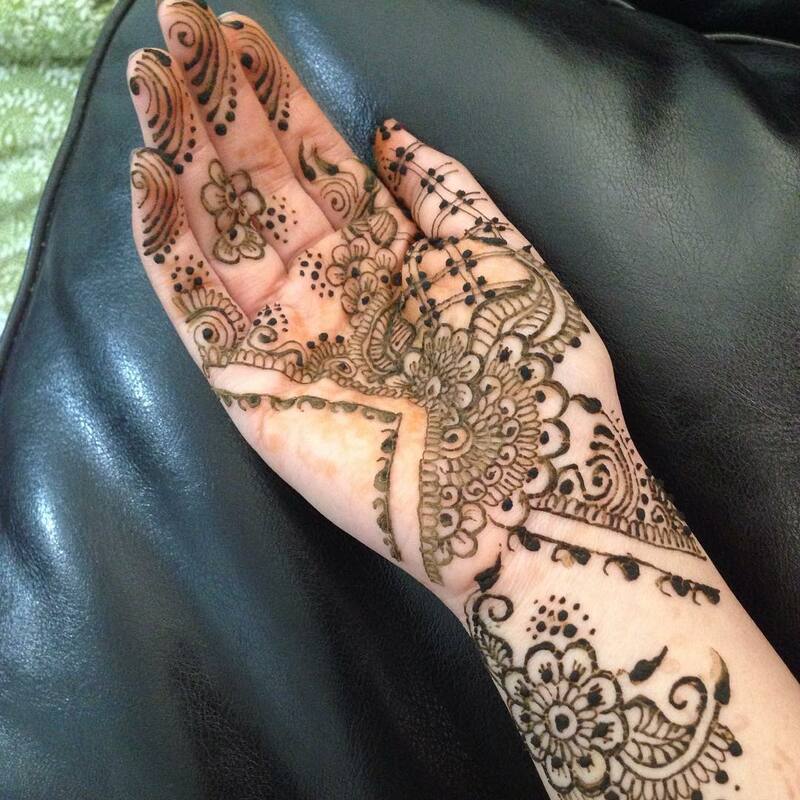 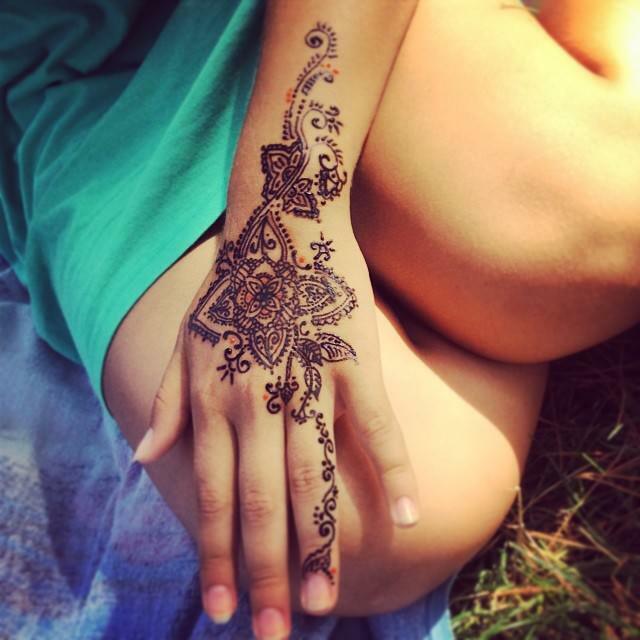 Elaborate various sizes and patterns of leaves in the mehndi design. 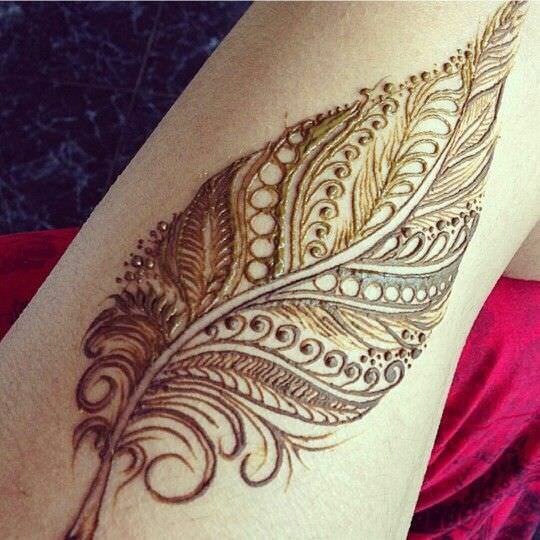 The fully-covered leaves make a simple yet elegant design look girly and traditional. 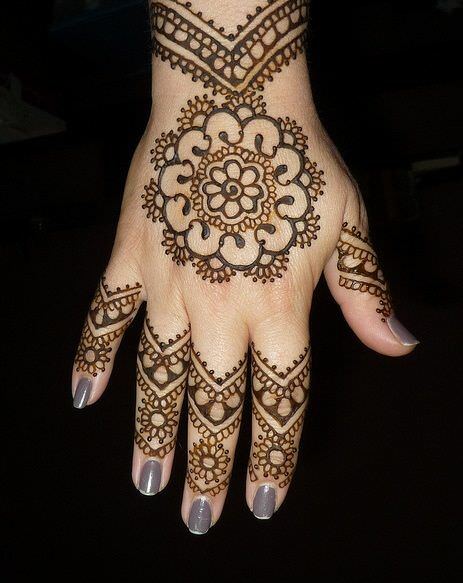 Semicircular borders are also a simple favorite that require no flowers, leaves or any bird motives. 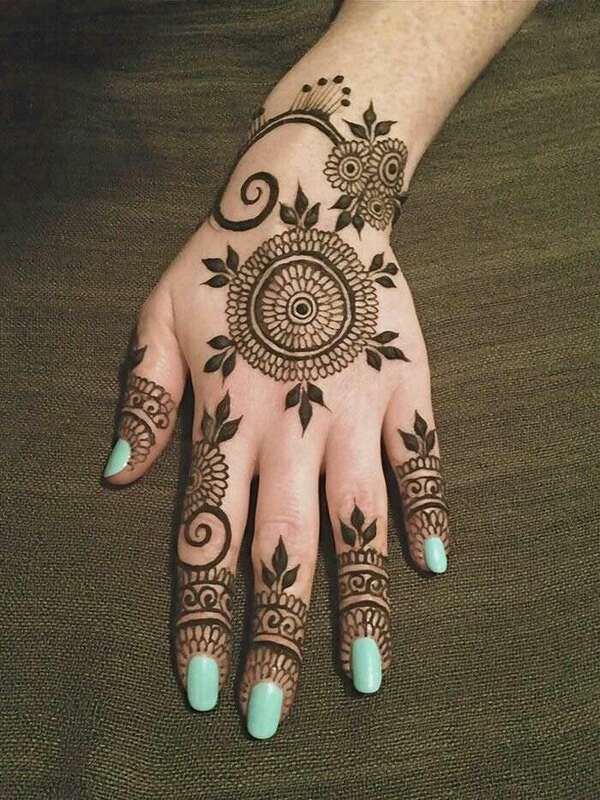 Simple lines with semi-circular borders make designs look more complicated than it is. 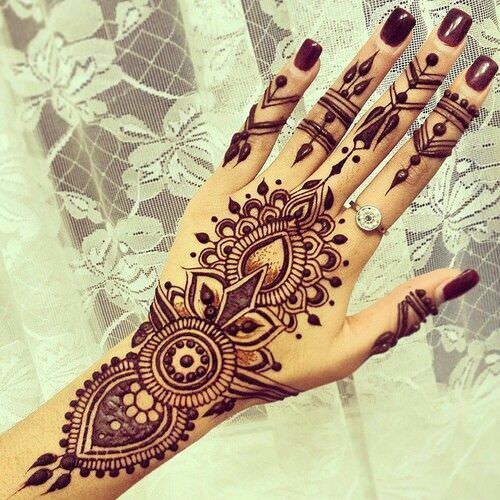 This design compliments the wedding hand jewelries.